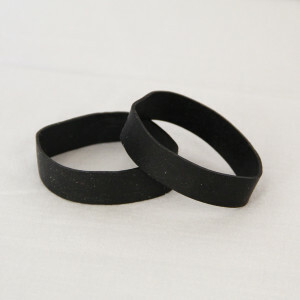 Custom and stock guest check presenters, reservation books and more. 100 sets of 1/4" Black metal screws and posts. 100 sets of 3/8" Black metal screws and posts. 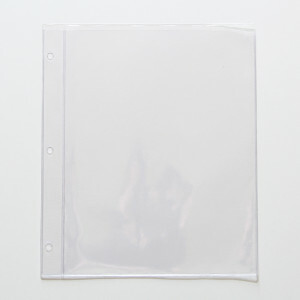 Page Protector Pocket 5.5" x 14"
All clear heat sealed page protector pocket 5.5" x 14" holds two 5.5" x 14" menu inserts (front/back). 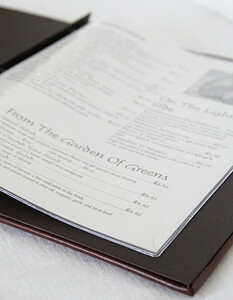 Heavy duty menu grade clear vinyl. 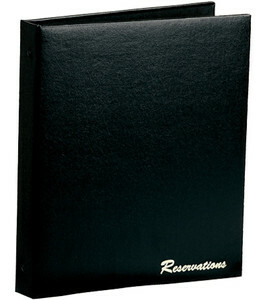 Fits any of our 5.5" x 14" screw post menu covers or three ring binders. 1/4" Aluminum Screwposts include 100 sets of screws and posts. Augusta Menu Cover 5.5" x 8.5"
Chicago Menu Board Page Protector Pocket 4.25" x 11"
Chicago Menu Board Page Protector Pocket 4.25" x 14"
Chicago Menu Board Page Protector Pocket 5.5" x 11"
Chicago Menu Board Page Protector Pocket 5.5" x 8.5"
Chicago Menu Board Page Protector Pocket 8.5" x 11"